Target is a great place to save money, but it’s being reported that up to 40 million credit and debit cards have been compromised (including the Target Red Cards). The theft took place from November 27 though December 15, 2013. It was the “track data” that was stolen, including credit and debit card numbers, the customers’ names, the date the cards expire, along with security codes (the three-digit code found on the backs of the cards). Having this data would allow those who stole the information to make counterfeit cards and place your card’s information directly onto the counterfeit card. If the thieves were also able to obtain PIN number information, it would be possible for them to recreate your debit card in the same way, and use it to take money out of your account from any ATM machine. With this in mind, here are a number of steps that you should take to secure both your credit and debit cards. Under both the the Fair Credit Billing Act (FCBA) and the Electronic Fund Transfer Act (EFTA), you have protection from situations like this. This includes situations when credit cards and debit cards are stolen. While it’s Target that lost the data and you shouldn’t be liable for any fraudulent transactions, that doesn’t mean that it won’t be a serious pain if your accounts are compromised. The best course of action is to be proactive in these cases. It’s better to be overly cautious now to prevent a lot of possible wasted time, frustration and headaches in the future. Since target has confirmed that all track data was compromised, you should cancel your card and get a new one. Do it as soon as possible, but realize that phones will likely be flooded the next few days with others trying to do the same thing. Also take into consideration that if you do cancel your card, you won’t be able to use the new credit card for Christmas shopping until it arrives. You’ll also need to contact all the companies where you have payments automatically charged to your credit card. This step is a huge inconvenience, but you should do it. It’s much easier to cancel your card and get a new one now, than it will be when fraud on the card occurs. The good news is that doing this won’t hurt your credit score. If you used your debit card anytime during that period (November 27, though December 15, 2013) at Target, immediately change your debit card PIN number. You may be able to do this at the bank’s website. Since debit cards can also be used like credit cards online, you should cancel your debit card and get a new one. You will have to do this either over the phone or at the branch, and with so many people wanting to do this as well, it might take a while to get through. While it’s certainly an inconvenience to do it now, it will save a lot of heartache in the future. Never give your credit card or debit card information to anyone who calls you on the phone or to a site you don’t know. Be suspect of emails claiming that your card has been compromised and you need to input all your information into a site which could be fake. Begin to take special care to go over all your statements. It’s common for thieves to test stolen cards first. They usually do this by attempting small transactions, such as a purchase on iTunes or snacks at a gas station. If you get a paper statement, review it closely to make sure that all charges on it were made by someone authorized to use the credit card. If you view your account online, do so more frequently to make sure unusual charges aren’t popping up. If you do come across any unauthorized charges, be sure to immediately report them to your credit card issuer and contact Target at 866-852-8680. This story is breaking, and a lot of new information should be learned in the coming days and weeks. Keep on top of it so when information gets confirmed, you know exactly what data was taken and from what dates. You can then check your statements to see if you used any of your cards during those time periods. There is also a good chance that Target and the credit card companies will offer certain things (Free credit card monitoring is common because it’s also an up-sell. You get it for free, and it can be good to have to keep track of what’s going on. But, you need to be sure to cancel before you begin getting charged for it). Once the true extent of the breach is known, and what Target and the card issuers will be doing, you can better ascertain what additional steps you may need to take. Unfortunately, if you were affected, it’s going to cost some money and time to resolve the situation, but it could end up costing you a lot more if you don’t. When your credit card information has been stolen, federal law allows you to access your credit reports for free from each of the three main credit reporting agencies (Equifax, Experian and TransUnion). Take the time to carefully examine each of the reports for any activity that’s not yours. If you see any fraudulent activity, immediately report it to the the agency to have it corrected. As with anything that makes it into the news, there are bound to be scammers that try take advantage of this. Never give your credit card or debit card information to anyone who calls you on the phone or to a site you don’t know. Be suspect of emails claiming that your card has been compromised and you need to input all your information into a site which ultimately could be fake. If you need to communicate with Target or your bank, do it directly from the contact information on their website. Good luck trying to cancel the card today. I cannot get through to report my card stolen. Me either! How infuriating to try to take steps to protect yourself and they won’t let you! I called my bank and they shut down my persoal debit account immediately stating “there is a strong possibility that your account has been compromised”. They also stated “this is the biggest banking security breach in history”. I was successful in changing my REDcard debit PIN on-line. 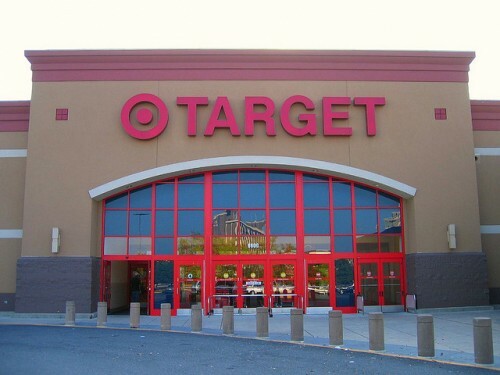 All customers of Target should boycott Target for the week of Christmas to show the customer disappointment over the Target card breach fiasco..
happens to EXTREMELY poorly secured companies. It’s my understanding with the debit cards, that they are only able to be used at Target and not at ATMs. So my checking account should not be at risk, especially if I change my pin. Not true…I just had my debit card used twice from what I noticed on my bank statements. Luckily, I’m with a credit union and they will replace the funds back into my account with a cardholder fraud affidavit. Therefore, debit cards are not off the hook.